Anyhow, my ceiling isn’t nearly so fabulous, but I can see the tv. Although I’m quickly catching up on my DVR’d shows, and the Telly is overwhelmed with the news from the east coast right now. I am saddened to see some of the images, and did you see Coney Island is destroyed!! Makes me so sad. My heart goes out to those who have lost things. 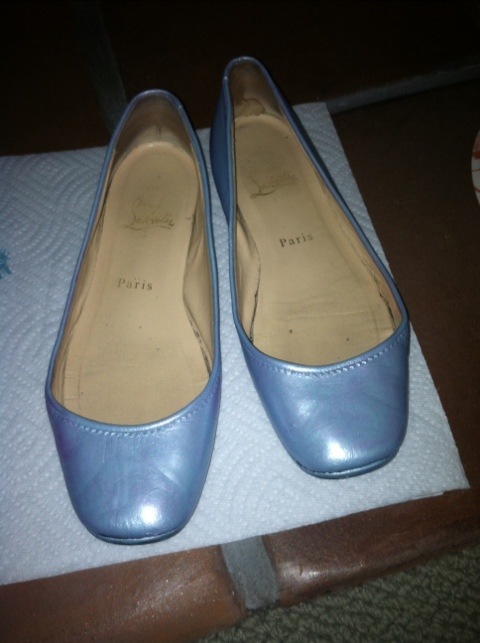 My shoe project. 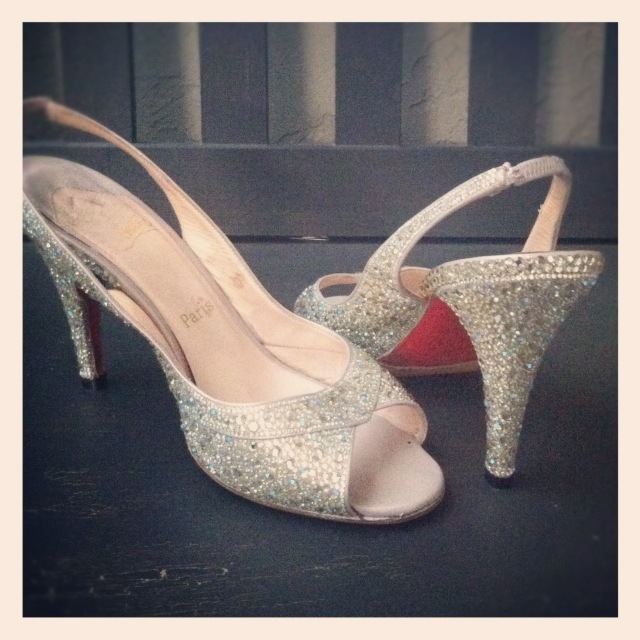 I’ve been working on a pair of Strassed Louboutin heels for months. They were orange with some wierd shoe-string tie. And I neglected to snap a before photograph. Well, I probably did, but I did a huge phone update, and I had to delete some photographs. Oops. 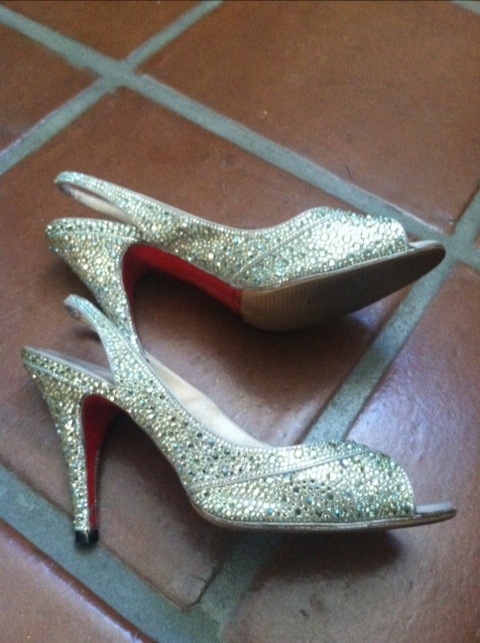 Now I need somewhere to wear them! Maybe tonight, I need to figure out my costume. I love the pink! But the leather was super damaged. 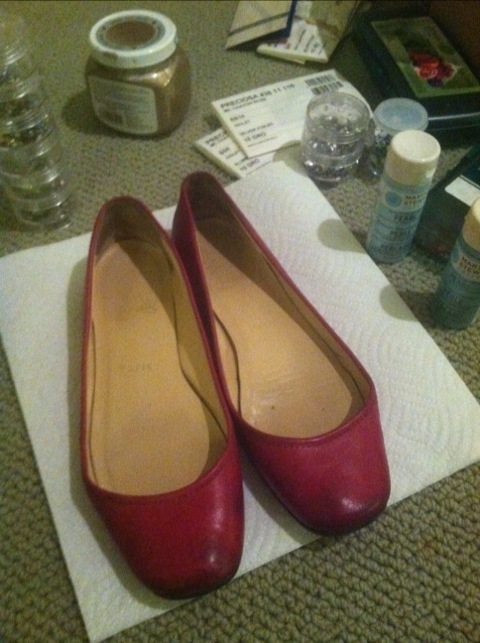 Rather funny I had a black pair I sent to Redo My Shoe to be painted pink and Strassed in pink AB! Rather fitting I choose to paint these. I’m going to use light sapphire AB and non AB for these. Like the pair that I did over the summer. But those are a hot mess, never Strass over hair!!! Oh well. They are pretty to look at! This entry was posted on October 31, 2012 by katespadegirl. 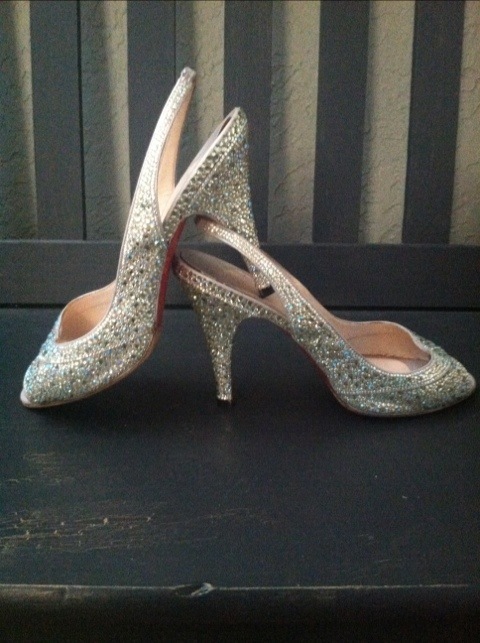 It was filed under Shoes and was tagged with Christian Louboutin, DIY, jonquil, light sapphire, strass.